Welcome to the website of the Georgia Tech Catholic Center. We are glad that you are here! The GT Catholic Center exists to provide for the spiritual needs of the larger Georgia Tech community, including students, alumni, parents, and friends of the Catholic Center who believe in our mission. If you are in need of any assistance with respect to sacraments, please contact me by email at frjosh@gtcatholic.org. 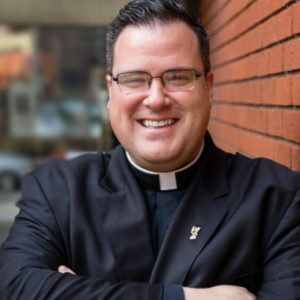 If you have questions about the Catholic Center, Chris Martineck will be happy to help you at cmartineck@gtcatholic.org. Our Catholic Student Organization President, Chris Larkins, will be happy to answer any questions about student activities and getting involved. You can reach him at president@gtcatholic.org. We hope to see you at Mass or one of our many community events. Please don’t hesitate to contact us if we can do anything for you!